Size of this PNG preview of this SVG file: 774 × 600 pixels. Andre opløsninger: 310 × 240 pixels | 620 × 480 pixels | 991 × 768 pixels | 1.280 × 992 pixels | 910 × 705 pixels. 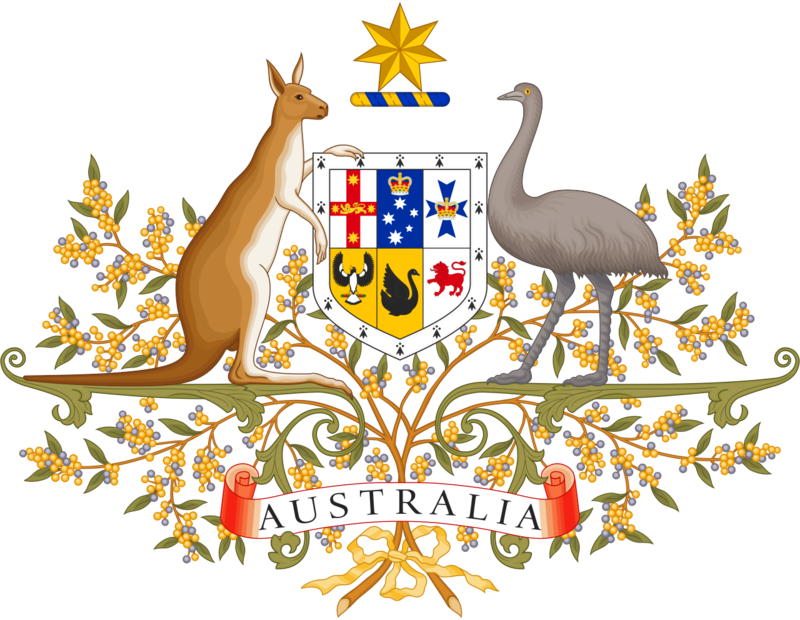 English: Commonwealth Coat of Arms of Australia granted by Royal Warrant signed by King George V on 19 September 1912. 1 means the typographical arrangement and layout of a published work. eg. newsprint. 2 owned means where a government is the copyright owner as well as would have owned copyright but reached some other agreement with the creator. When using this template, please provide information of where the image was first published and who created it.